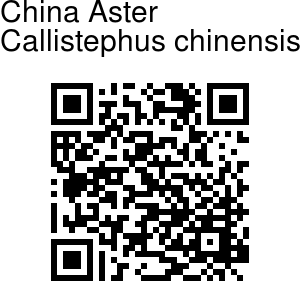 China Aster, native to China, is an annual plant, growing to 20-80 cm tall with branched stems. The leaves are alternate, 4-8 cm long, ovate, and coarsely toothed. The flower-heads are variable, with either all ray florets or an outer ring of ray florets surrounding central disc florets; the ray florets are white to purple, the disc florets, if present, usually yellow. 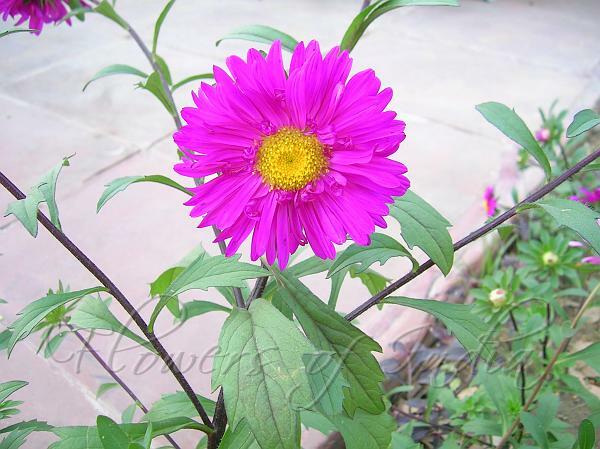 It is a popular ornamental plant in gardens, and numerous cultivars are available; the cultivars are grouped by size, with very dwarf, up to 20 cm, dwarf, 20-40 cm, intermediate, 40-60 cm, and tall, 60-80 cm. In Japan, the species is very important in the floriculture industry for cut flowers. Photographed in the Jamia Millia Islamia, Delhi.